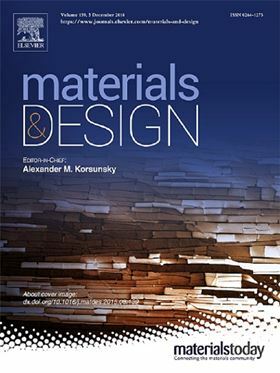 Materials & Design is a multidisciplinary journal that focuses on topics that investigate the properties of materials that influence or control any practical design. All types of engineering materials are considered, and all scales of processing, analysis and design from nano- and micro-scale devices and systems to large structural components. Please note: Authors who have submitted papers before 1st November will have their accepted paper published in Materials and Design at no charge. Authors submitting papers after this date will be requested to pay the APC.